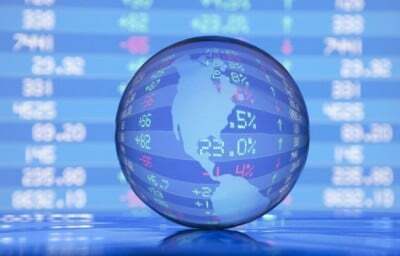 Has the Crash of Global Financial Markets Begun? As the following quotation from Bradford DeLong’s 8 January 2016 Huffington Post article demonstrates, one of the ongoing debates among economists of many tribes is whether the period that began in the summer of 2007 will be called the “Greatest Depression” or the “Longest Depression” by future economic historians. Unless something big and constructive in the way of global economic policy is done soon, we will have to change Stiglitz’s first name to ‘Cassandra’—the Trojan prophet-princess who was always wise and always correct, yet cursed by the god Apollo to be always ignored. Future economic historians may not call the period that began in 2007 the ‘Greatest Depression’. But as of now, it is highly and increasingly probable that they will call it the ‘Longest Depression’. I offer “Worst Depression” as the third alternative and leave it to future economic historians to call the period that began in 2007 whatever they want. However, some sort of consensus is emerging as the reconciliation prize of this debate. It is that the period that began in the summer of 2007 is some sort of depression, despite Lawrence Summers still calling it secular stagnation. And there are some minor debates even among those of us who claim that the crash has already occurred. The minor debates are about when exactly the crash started: the third quarter of 2014, or the second quarter of 2015, or the third quarter of 2015, or with the turn of 2016 and the like. I must confess, however, that I appear to be the only one who claims that the crash started in the third quarter of 2014, at least to my knowledge. But, what did happen in the third quarter of 2014? On 18 September 2014, the US market index (Standard & Poor’s 500 or S&P 500) peaked and stayed more or less at the same level the next day. It started to decline after 19 September and bottomed on 15 October 2014. The total decline from 19 September to 15 October was about 7.4%, falling short of 10% to qualify as a market correction. After the fact, many explanations can be and were offered such as concerns about the absence of aggregate demand in the world, the possibility of the Federal Reserve or Fed (the US central bank) raising the interest rates, lower than expected inflation in China, and other such explanations. Ongoing in the background, however, was the Fed’s winding down of the bond purchases in its third bond-buying programme, also known as Quantitative Easing 3 (QE3). This winding down of the QE3 started in February 2014 and ended on 29 October 2014 (I had discussed QEs in an earlier column in EPW (10 October 2015)). With the benefit of hindsight, I can now say that the real reason for this 7.4% decline from 19 September to 15 October 2014 was the 17 September press release of the minutes of the meeting of the Fed on 16–17 September. The minutes announced that the Fed officials had decided to reduce the bond purchases to $15 billion a month and agreed to end the QE programme after their 28–29 October meeting if the economy continued to improve as expected. Apparently, it took two days for readers of the minutes to digest the information and the slide started a day after 19 September to continue until 15 October. Then, on 16 October 2014, James Bullard, the President of the Federal Reserve Bank of St Louis, came out and said that the Fed may want to extend its bond-buying programme beyond October to keep its policy options open, given falling US inflation expectations. This calmed fears and the market resumed its upward trend for a while with ups and downs, of course. Had he not done that, would the market have continued sliding down? Who knows? Then came the second quarter of 2015. The slide of Chinese stocks began on 12 June 2015. From 12 June to 24 August 2015, the Shanghai Composite Index lost 38% of its value while the world equity market capitalisation declined by about $10 trillion. This was an unquestionable crash that started in the second quarter and ended in the third quarter. Then, in the third quarter of 2015, came the Chinese yuan devaluation of 11 August 2015. The People’s Bank of China shocked the markets on 11 August with the yuan’s biggest one-day devaluation in 20 years, lowering its daily mid-point trading price to 1.87% less against the dollar. The devaluation continued until 13 August, totalling a 3% decline of the yuan against the dollar in three days. This sent shockwaves through the financial markets, taking stocks and Asian currencies down with it. After this, many interventions by the world’s major central banks and others took place, and the markets started to move up happily ever after. Well, not quite. With ups and downs, but up on the average until the turn of the year. An important event before the turn of the year took place on 16 December 2015. Finally on that day, the Fed did what it had been advertising at least since the summer of 2013: it raised its policy rate—the Fed Funds Target Rate—by 25 basis points. This was the first Fed rate hike in over nine years. The markets took notice, but then it was the holiday season, so nothing serious happened until the turn of the year. Then 2016 arrived and the markets opened on 4 January 2016. Since then the equity markets have been in turmoil. Between 29 December 2015 and 20 January 2016, the S&P 500 has declined by about 11% (a warranted correction) and the world equity market capitalisation dropped by about $7 trillion. After 20 January 2016 and up to 5 February, the markets have recovered some, but up and down daily swings of significant sizes continue to occur. Here are a few events since the beginning of 2016. (i) Rumours that the Italian banking system might collapse. (ii) Rumours that Deutsche Bank could become the next Lehman Brothers. (iii) Chinese economy is facing a mountain of bad loans that could exceed $5 trillion. (iv) The negative interest rate programme in Japan. (v) The 10 Year US Treasury Rate is going below 1.80%, and moving up and down wildly. (vi) Oil price has gone below $30 per barrel, and has moved up and down wildly. (vii) Gold price has gone above $1,155 per troy ounce, and has moved up and down wildly. (viii) The Baltic Dry Index, a measure of the health of world trade, crashed below 300 for the first time in its entire history. These should be enough. I guess you get the picture. Let me now throw in some terminology. Marxian “over-accumulation,” “overproduction,” and “underconsumption” crises theories, Keynesian theory of “lack of aggregate demand,” “financial instability hypothesis” of Minsky, “debt deflation theory of depression” by Irving Fisher, Steve Keen’s “excessive private debts,” Michael Hudson’s “debts that cannot be paid will not be,” and the like. No matter which theory you use to look at the picture, your conclusion will be the same. Whether it is the “longest” or the “greatest,” the world has been in depression since the summer of 2007. And the global market crash is already underway. T Sabri Öncü ([email protected]) is an economist based in Istanbul, Turkey.